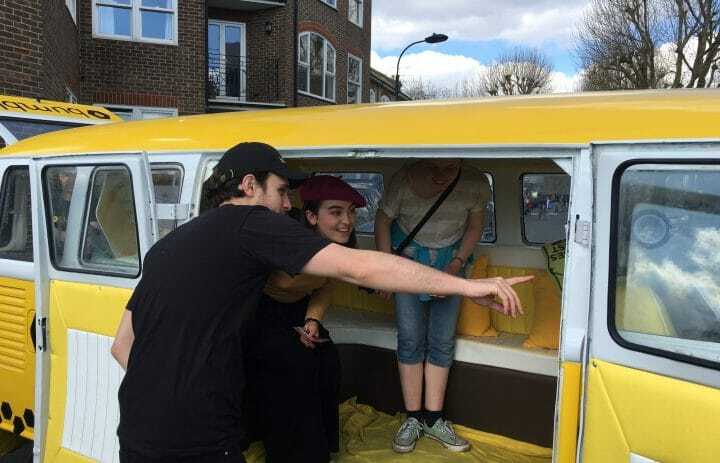 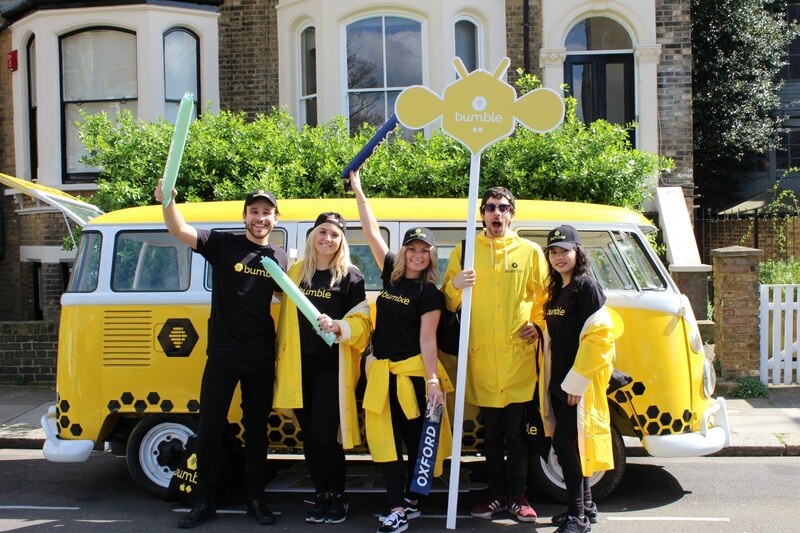 To raise brand awareness and drive app downloads, Bumble wanted to create an attention-grabbing campaign to engage with the younger demographic of spectators at The Boat Race. 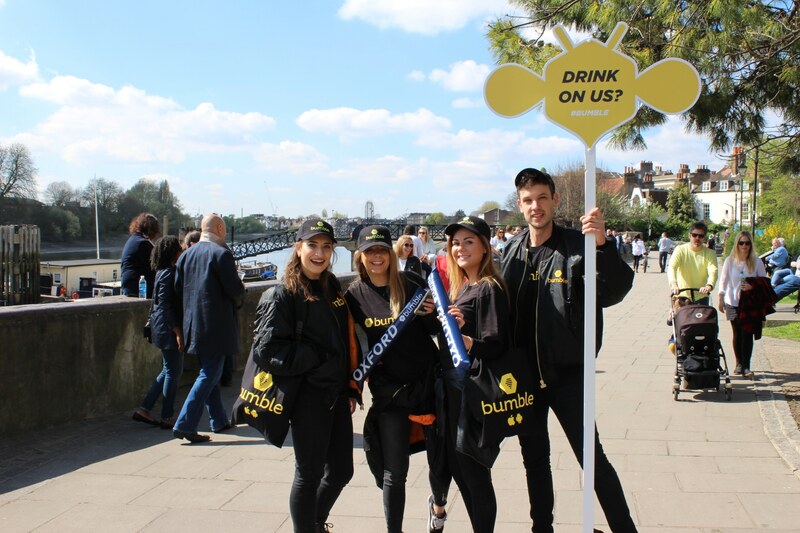 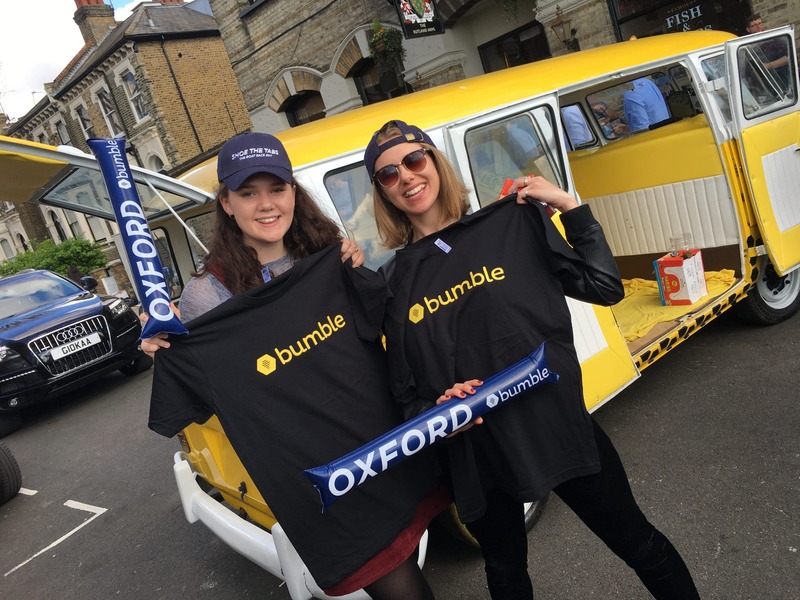 The Bumble Boat Race Activation saw teams of Bumble Ambassadors in fully branded uniforms, treating Boat Race goers to free drinks as they watch the two historic teams compete along the Thames. 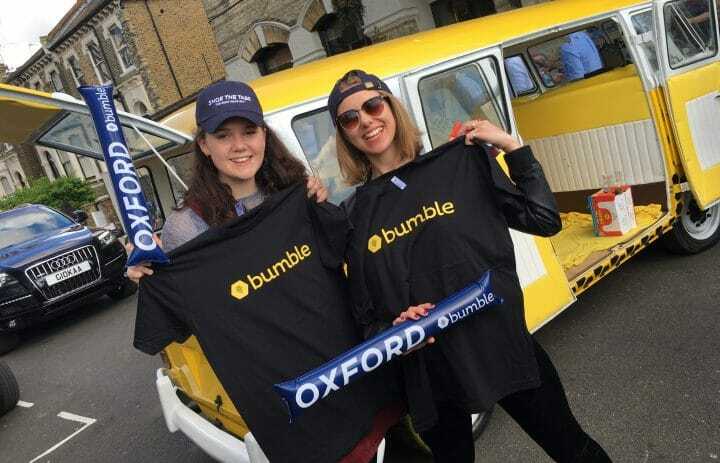 Guests were also able to unlock access to a Bumble GIF photo booth by showing the Bumble ambassadors the Bumble app on their phone. 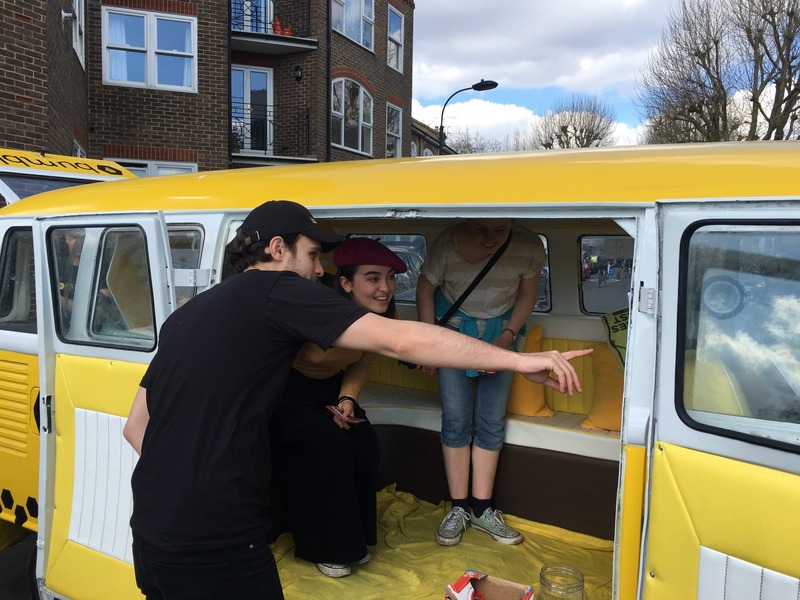 The aim of the activation was to drive downloads and awareness of the app and its unique positioning, which puts female users in control by giving them the sole power to start online conversations.